Weighing food or estimating all the time can get tiring. For some people, it’s just too much trouble to go through on a regular basis. Weighing your food and knowing exact servings is crucial to IIFYM. Simply eyeballing 1 cup of pasta could put you anywhere from 0.5 cup to 3 cups if you’re not used to estimating your food with accuracy. If weighing your food isn’t for you, IIFYM isn’t for you. 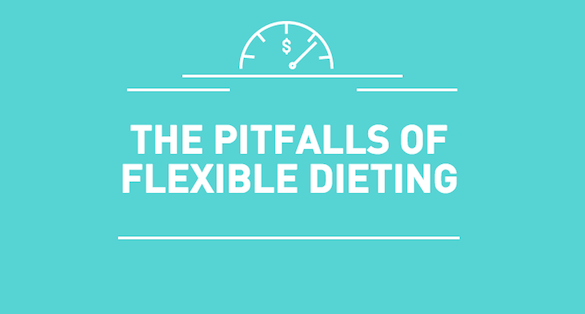 Though you’re not restricted in terms of food choices, tracking macros still imposes restriction in another way. You may sometimes find that you’re still hungry but have no macros left. Or you can also get tired of constantly finding foods that fit. These can lead to a disordered relationship with food if you’re not careful. There are countless benefits to eating a lot of fruits and vegetables, but it’s also tempting to ditch the salad for some chips or ice cream. For some, this can turn into a full-on feast on all the processed goodies at the grocery store. Once you become more familiar with your carbs, proteins and fats, you’ll start to see food differently. Rice isn’t just rice anymore; it’s carbs. Ice cream isn’t just carbs; it’s carbs and fats. You start to see everything for it’s macronutrient content and caloric content. While that’s great for being mindful about your caloric intake, it can also make you wish you never knew anything about it in the first place because you start to realize how the yummy foods are often not very macro-friendly at all. When you eat something deep fried, it’s hard to get past the fact that it’s loaded with oil. You know that one order of regular fries at Mcdo is at least 20 grams of fat and you normally get a large plus a double cheeseburger. It can take away from the pleasant experiences that can be associated with food, which can lead to feelings of guilt and shame. If you don’t have the self-control to keep from eating the whole bag because only half of it fits your macros, then IIFYM isn’t for you. Sometimes only 0.56 of a serving will fit. When that happens, will you have the discipline to stop at just 0.56 of a serving?